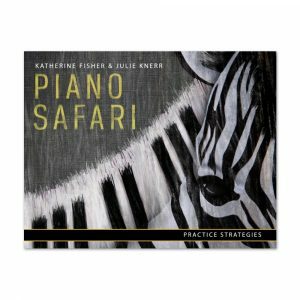 This page contains a range of piano teaching supplements for beginner to intermediate skill levels. Whether you’re teaching with Piano Safari or another method, these products provide additional learning opportunities for students. 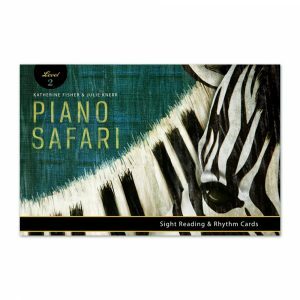 If you purchased a Piano Safari Level 1 Pack or Level 2 Pack, you already have the Sight Reading & Rhythm Cards. 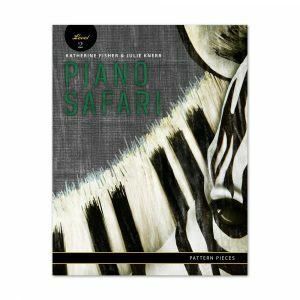 We include them here on the supplements page because these products work well with other programs while also functioning as a key component of our method. 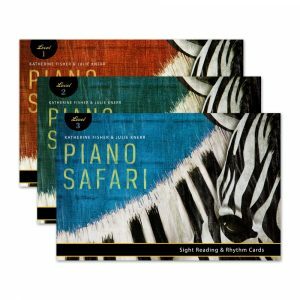 The Sight Reading Card Pack contains cards for Levels 1, 2, and 3. 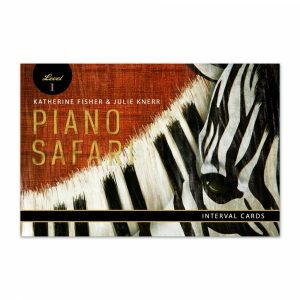 Both the Interval Cards and Practice Strategy Cards can be used to supplement any method. 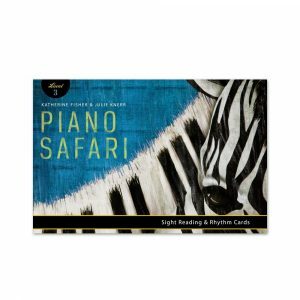 Interval Cards provide extra reinforcement in reading 2nds and 3rds on the staff for preschoolers and students with special needs, while also serving as a useful review for any student. 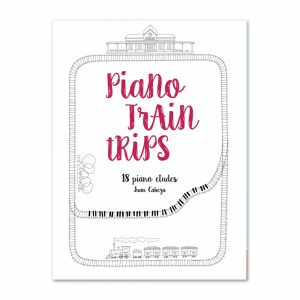 The Practice Strategy Cards contains 40 different strategies for use at the lesson and at home. These creative approaches to practice will benefit students of all levels. We designed the Pattern Pieces books to supplement any standard piano method. 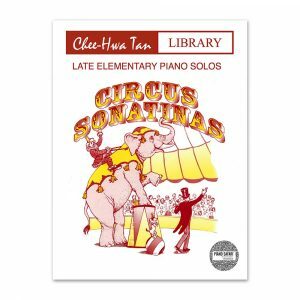 As the name implies, they contain pattern-based pieces to be taught by rote. 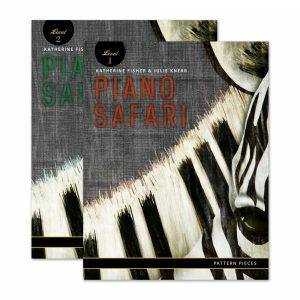 Pattern Pieces can be used in conjunction with Animal Adventures, which contains the animal technical exercises found in Repertoire Book 1, along with the corresponding Improvisation Pieces and Rote Pieces. 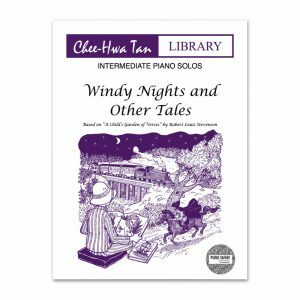 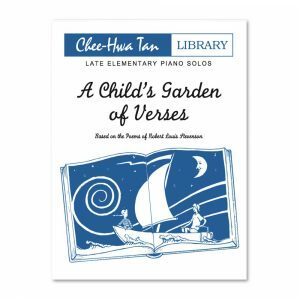 The compositions by Chee Hwa Tan encourage students to explore and express sound images at the piano while developing specific technical skills necessary for artistic playing. 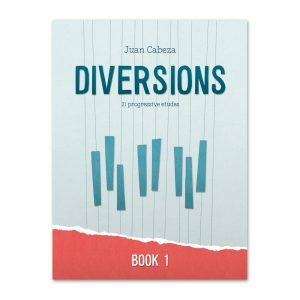 The Diversions books by Juan Cabeza each contain 21 patterned etudes. 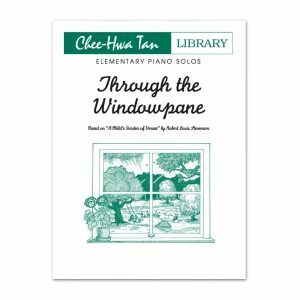 Each etude focuses on a single technical pattern that students may encounter in the early stages of piano study: scales, arpeggios, chords, repeated notes, intervals, and other common pianistic patterns. 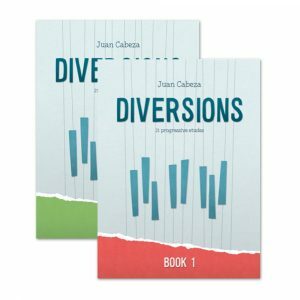 The Diversions Pack contains both Diversions books. 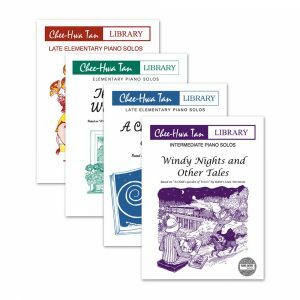 Chee Hwa Tan and Juan Cabeza supplements also appear in our guest composers section.